Earth testing at 2 Ohm, 20 Ohm, 200 Ohm, 2k Ohm. 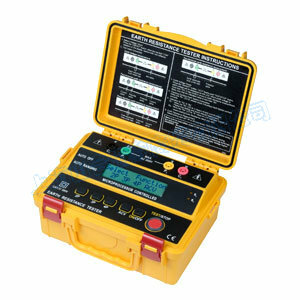 Earth voltage measuring : 0~300V AC. Robust, Compact and easy to carry. Temperature & Humidity Operating : 0 degree C ~ 50 degree C <=80% R.H. Storage : -10 degree C ~ 60 degree C <=80% R.H.